Welcome To Crown Jewel Miniatures! 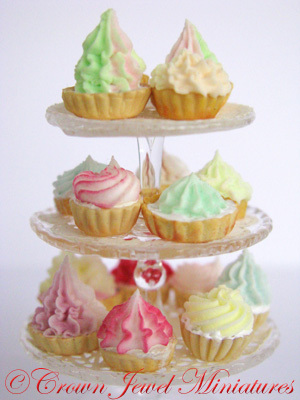 I specialize in professional quality 1:12th scale food for the adult dollhouse and miniature collector. Each piece is one-of-a-kind or limited edition, relative to scale and designed to bring ultimate realism to your collection. In May 2014 I was accredited I.G.M.A. 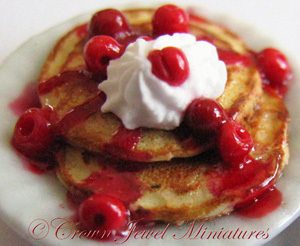 Artisan in the category of Food by the International Guild of Miniature Artisans. This certification is an incredible distinction and I strive to continue to meet the stringent criteria and standards of excellence set forth by Guild's Artisan Selection Committee with every piece I make. My art has been featured in several publications including Miniature Collector, American Miniaturist, Dollhouse Miniatures, The Dolls House and Dolls House World magazines and Artisans In Miniature iMag. All art is available exclusively via my eBay, Etsy shop and custom order, delighting collectors around the globe. To see more please explore this site and blog and be sure to follow me via Facebook, Twitter and Pinterest for all the lastest updates on new art. Thank you for visiting. I hope my art inspires a new project or a quest to stock your dollhouse kitchen or dining room with foods that bring your miniature scenes to life. 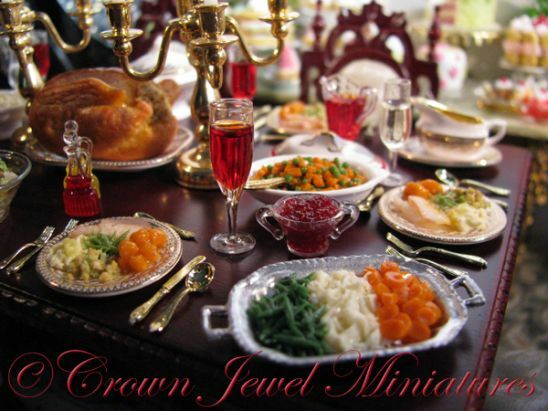 When ULTIMATE realism matters it's got to be Crown Jewel Miniatures! Discover my ever-changing range of one-of-a-kind and limited edition 1" scale food and collectibles. If you see something in the background of my pictures, please check the listings on both sites or contact me directly for availability. I happily consider all custom requests. Each tiny work of art is created with careful attention to detail in my home studio using only the finest materials. My original approach often extends to making my own servingware and I sign and date my art where possible. As each piece is handcrafted, no two are identical, ensuring you will receive a one of a kind addition to your collection with every order. Contact me anytime, I would love to hear from you!